Where does The Modern Scholar rank among all the audiobooks you’ve listened to so far? This book is exceptional in its content and narration. Both meet my requirements to have the subject matter easily understood, whilst not depriving it of academic requirement. 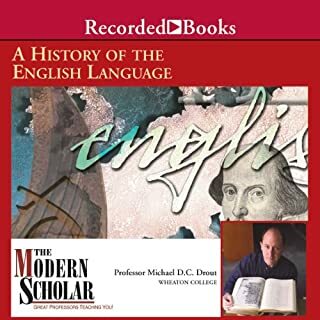 This is a must for anyone wanting to study the History of the English language . If I had the time I would happily listen to its content in one sitting. Several of my university modules are explained fully in this book. It is most interesting and fully informative. I would recommend it to anyone with an interest in the English Language and where language originates from in human beings.